IAE are experts in sports mesh systems, the most commonly supplied is our Duex® Sports 868 Rebound. 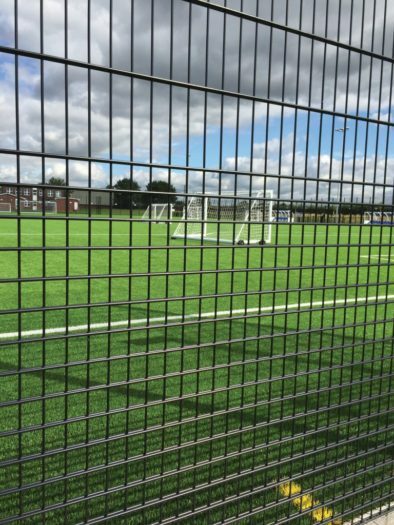 The rigid twin 8mm wire design has additional horizontal wires in the bottom 1200mm section of a panel. 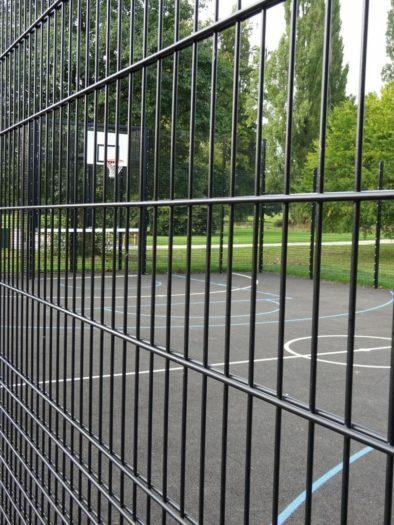 These additional wires reduce the panel apertures to 50 x 66m creating a robust ‘rebound’ surface, strengthening the bottom of the panel that receives the most impact. 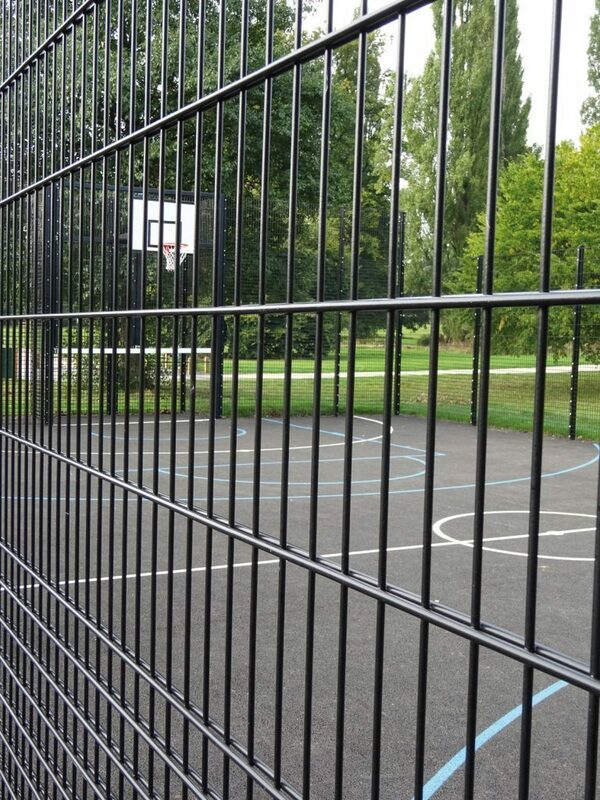 This dense double wire pattern can be continued throughout the full height of the panel if necessary creating a rigid wall of rebound mesh. 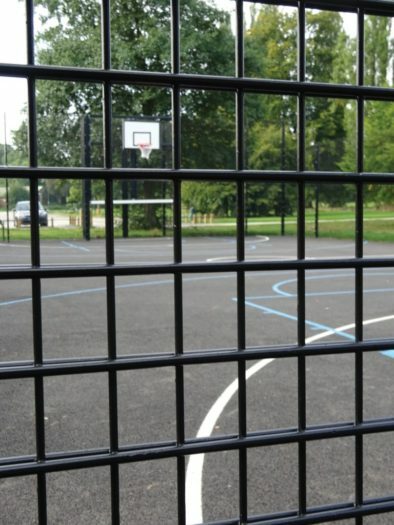 A common sight in schools and leisure centres Duex 868 has also been supplied for some of the UK’s most prestigious sporting projects. IAE have been able to assist clients and architects by drawing upon a wealth of experience in the field. Both Duex® 868 and standard Duex® can also be supplied in a lighter 6/5/6 configuration, however IAE would always recommend using heavier 8/6/8 panels in a sporting environment. 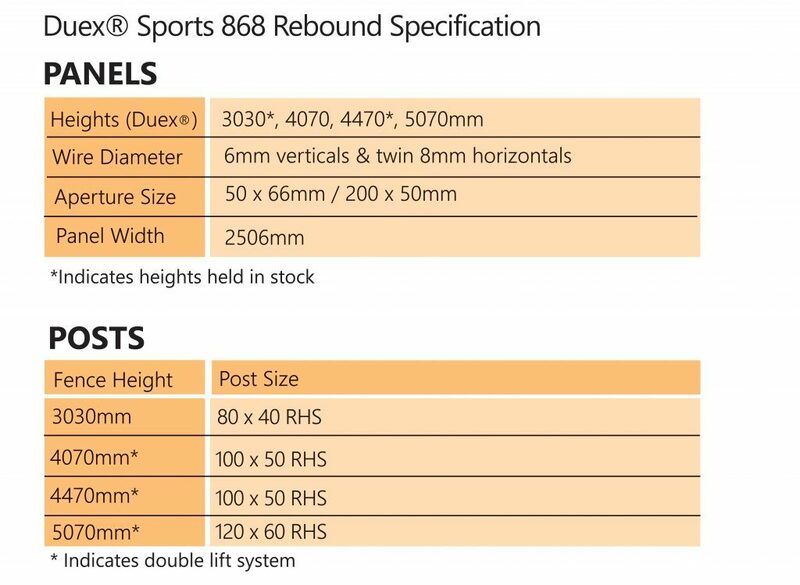 For sporting applications where rebound is not a prevalent such as tennis standard Duex Panels maybe preferred.